← I finally installed the Single Wiper Conversion kit! ﻿I have been lucky enough to put some time on the TT in the past few days. 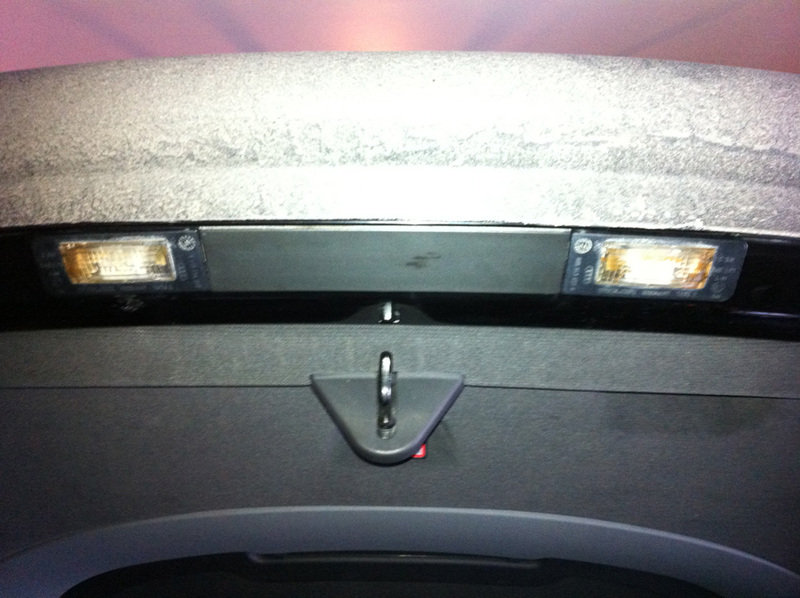 I installed the Prosport Gauges (a post will come soon) and some LED licence plate lights. I had them for a few months, sitting on a shelf in the garage. So I finally decided to install them yesterday. 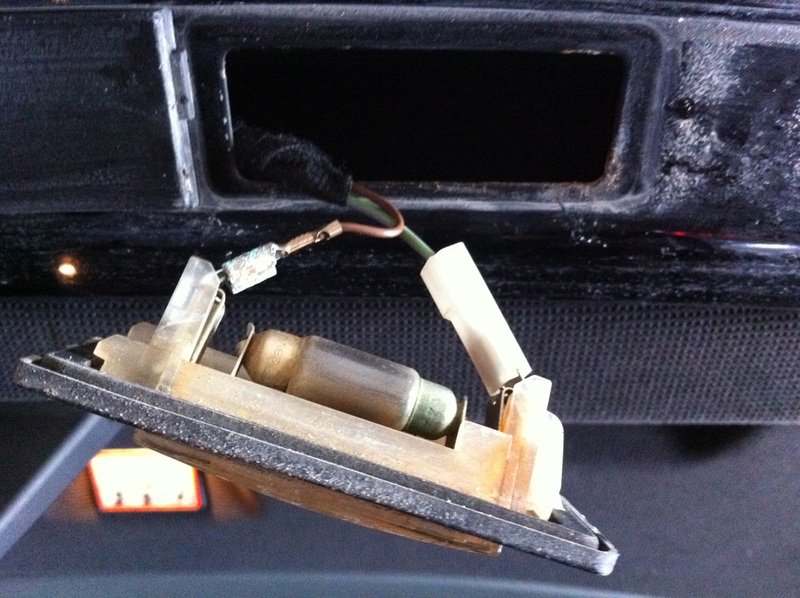 As I remembered, the light assembly (read plastic cover & bulb holder) was pretty dirty. 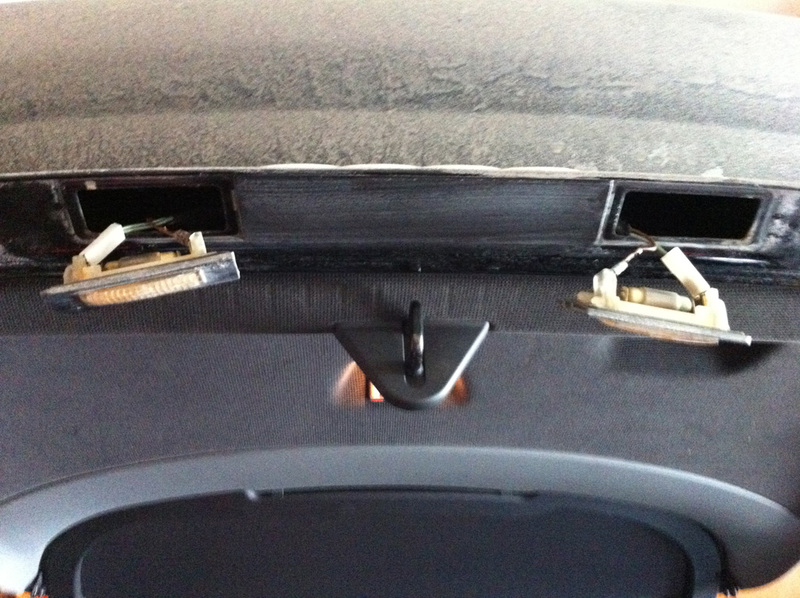 To take them off, I slid a flat-head screw driver in the slot and lifted while pushing to away from the middle. The light assembly popped out. Over the years, they got filled with dirt and the assembly interior is hard to clean. I left the assemblies in very hot water (160F) mixed with TSP. After a good 30 minutes, I rinsed them off and the result is not too bad. But I might change them anyway. 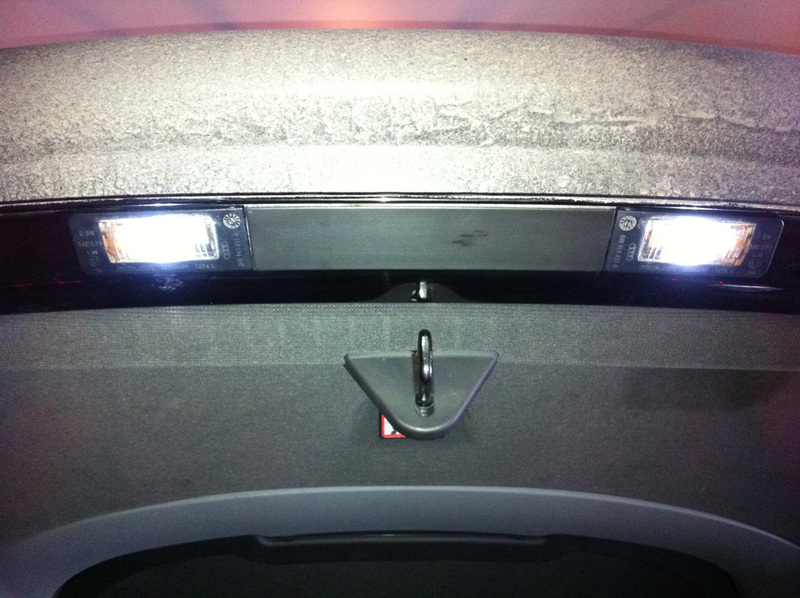 Once cleaned-up, I inserted the new LED bulbs and reinserted the assemblies in the TT. Here are the before and after pics. Note that the pictures were taken at daytime and the car is a bit dirty. 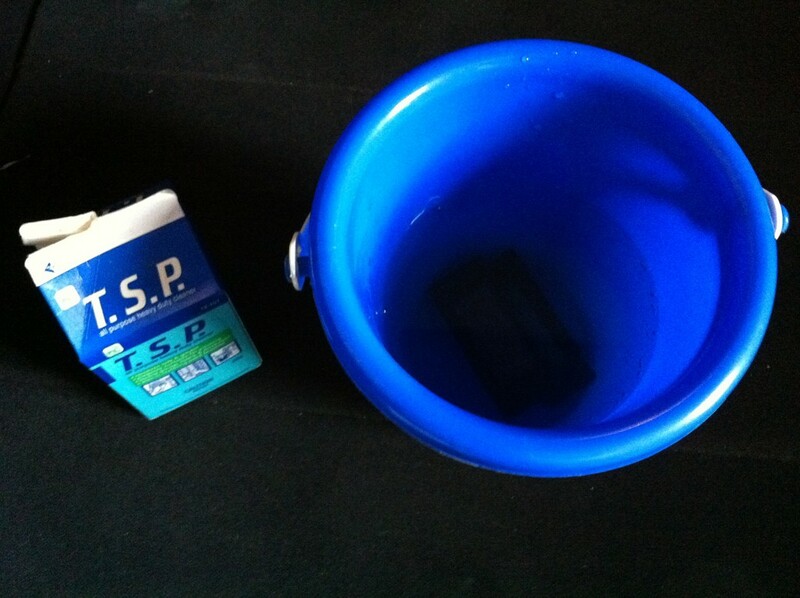 The total time for this mod is about 45 minutes, including the 30 minutes “TSP bath”. 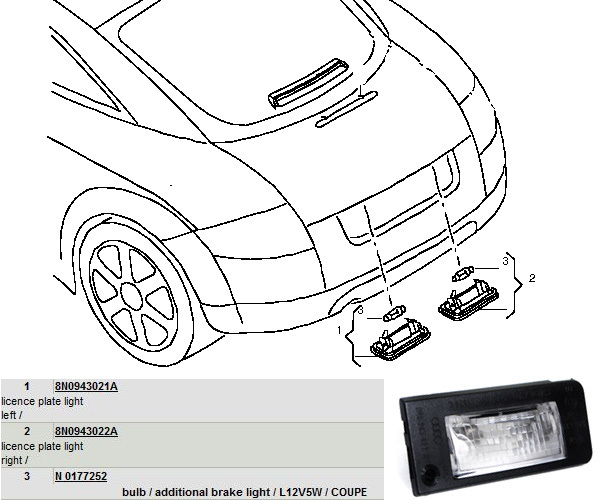 This entry was posted in My Audi TT RS Project and tagged LED. Bookmark the permalink. Now the police can read your plate kilometers away, na they wouldn’t catch you,right! Where did you order them from? Looking for some for a 2003 TT but can’t find them anywhere. Thanks! A good search on eBay will point you at the right supplier. Let me know if you need help.